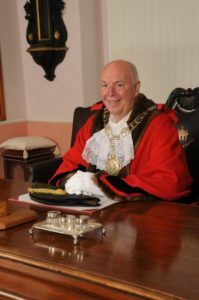 The Mayor of Thetford wears a chain of office when carrying out official engagements. The chain is also worn on ceremonial occasions as part of the official dress. The Mayor’s Chaplain is Helen Jary who is a member of Thetford Team Ministry.